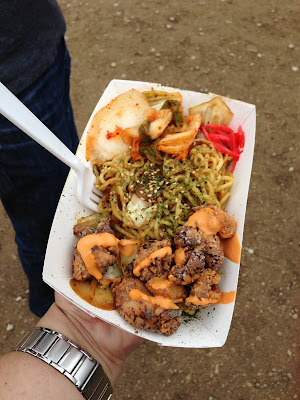 Boston, New York, LA, Honolulu, Fort Worth - I've visited food trucks in all these cities and had some amazing meals. 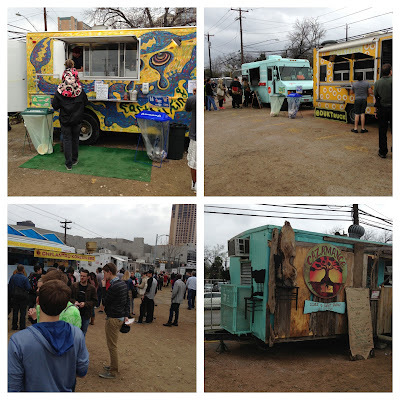 But I haven't experienced a food truck culture like the one in Austin. 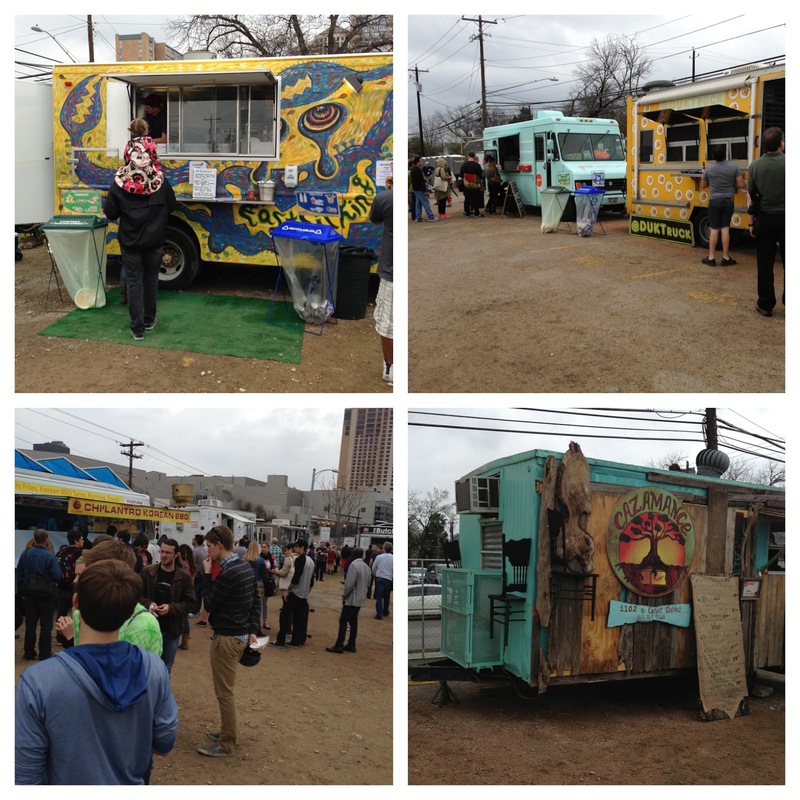 Last year before we left for SXSW I did a little research on local food trucks. The number of trucks were staggering. I chose several and once we got there, we used Twitter to figure out which trucks were nearby. 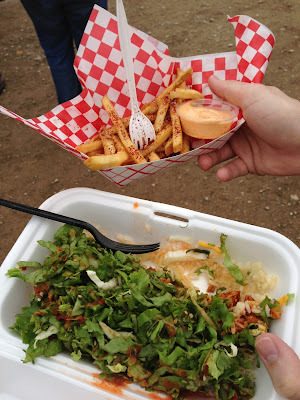 This year the SXSW organizers brought on Paul Qui, last year's Top Chef winner, to curate some of his favorite trucks in a collection called SouthBites. It was great because many of the trucks I wanted to try were all in one place. At the top of my list was East Side King (@EastSideKingATX) - one of Paul Qui's trucks. The first day we got there, as we were contemplating the menu, who should walk out of the truck but the man himself, but he didn't look too happy. I, on the other hand, was super excited - you know how I get about my food celebrities.I placed my order and then we waited. 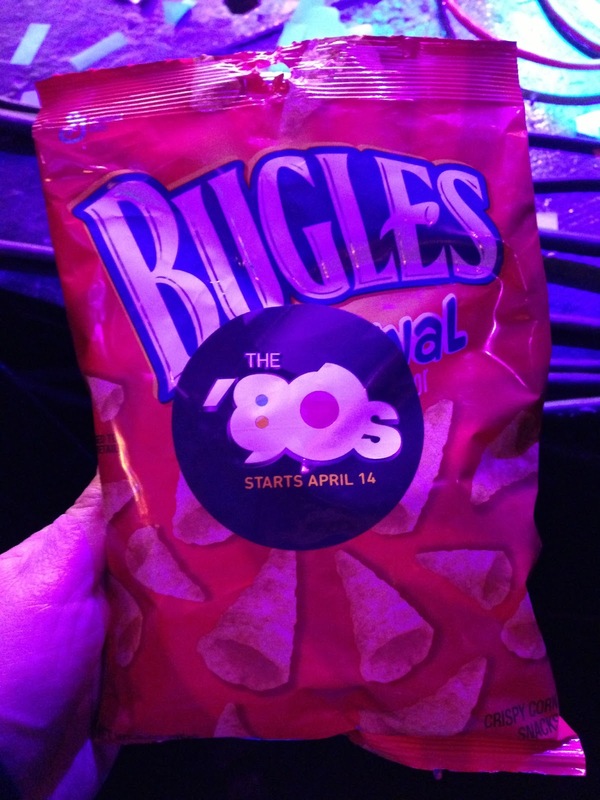 And we waited and we waited. Then they came out and told us that the fryer had broken - which explained the Chef's unhappy state - and that everything was being cooked by hand. So while I didn't get a picture of the Top Chef, I had a meal personally cooked by him (and was also retweeted by him later in the day). My friend and food partner in crime, KP, went to a favorite from last year - Chi'lantro BBQ (@chilantrobbq). Korean + Mexican = YUM. To finish off this meal we stopped at Jeni's Splendid Ice Creams (@jenisicecreams). 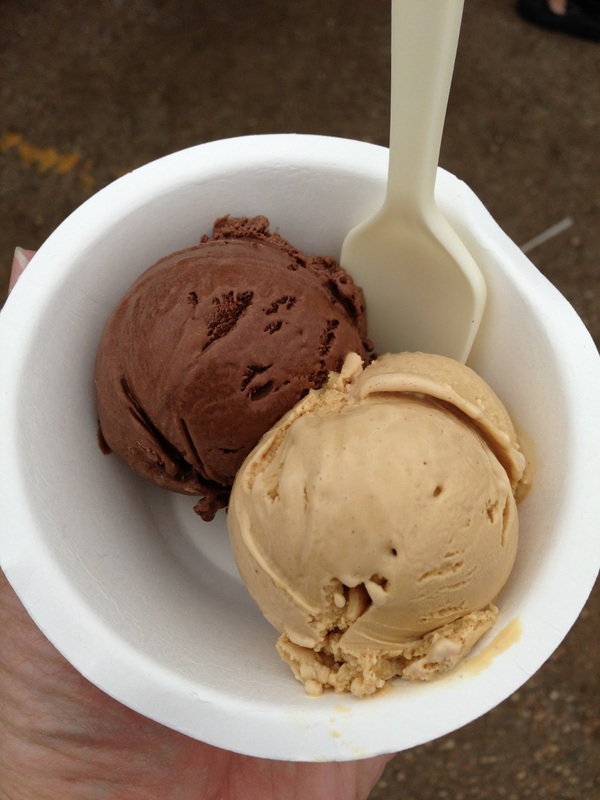 Highly recommended by a friend as the best ice cream in the world, I would say it's definitely a contender. 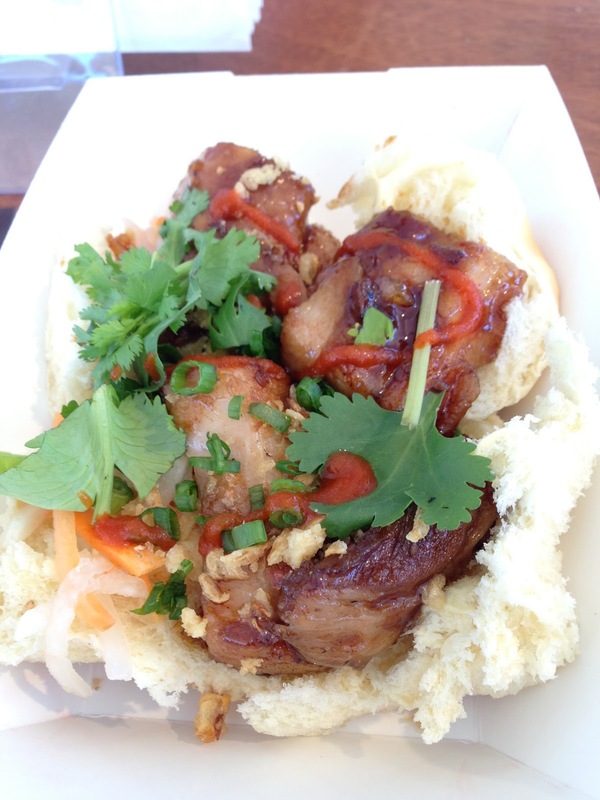 Another day we went back to try the special SXSW sliders from East Side King - pork belly sliders with fried onions, pickles, daikon and carrots on sweet rolls. 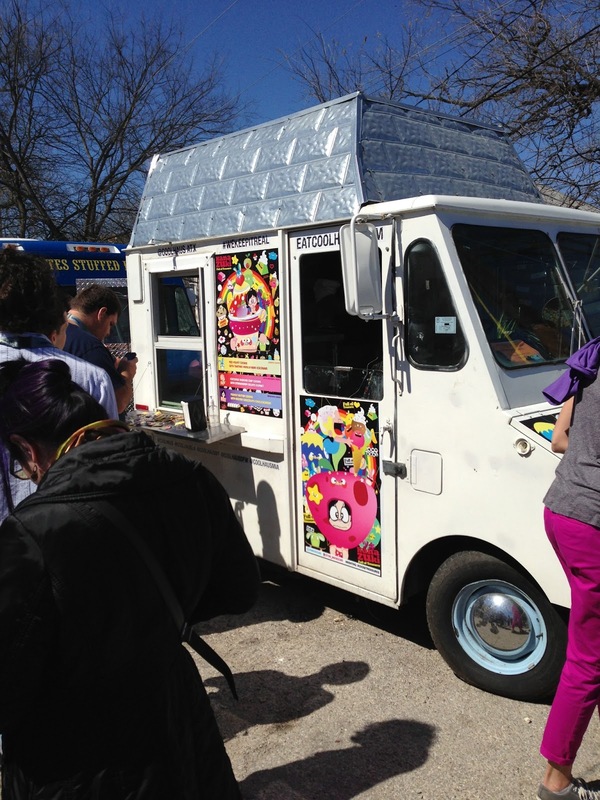 And from another food truck favorite from last year we found the CoolHaus truck (@CoolHausATX). 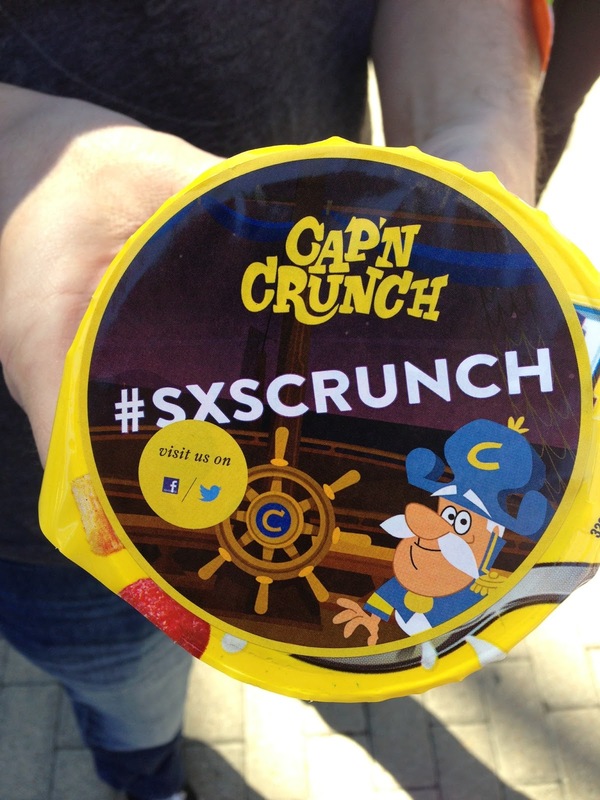 Choose your cookie, choose your ice cream, and it's all in an edible wrapper - no waste. 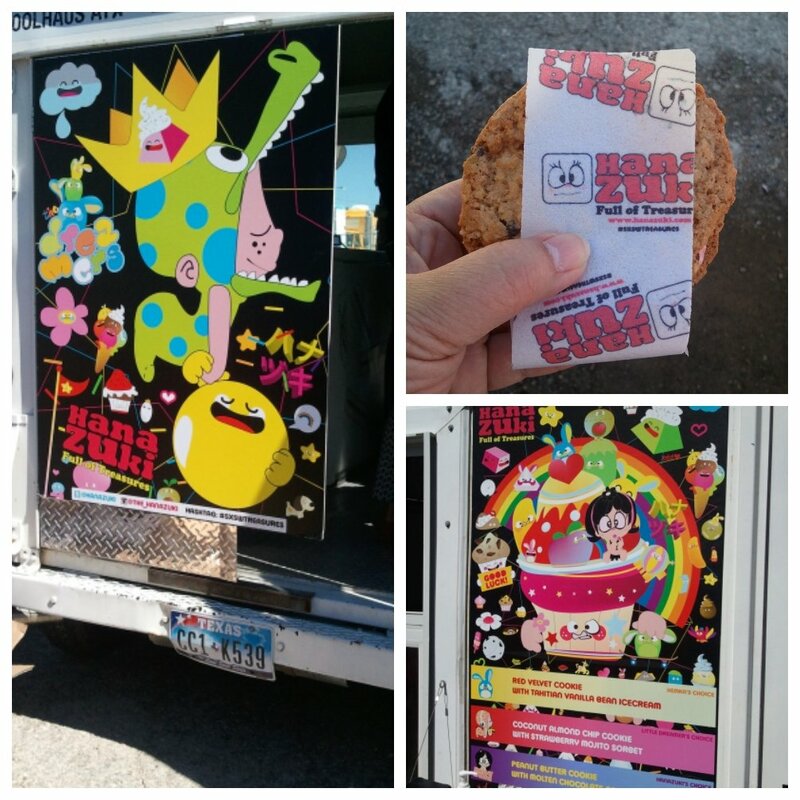 As with many of the trucks, this one was hired and branded for SXSW by Hanazuki. The truck was covered with cool graphics and best of all, the sandwiches were free (we went twice and also got some cool swag from the folks at Hanazuki too). And speaking of things that can be branded, here are a few more things, showing that just about anything can be used for advertising. Needless to say, we had a lot of fun and ate very well. Thanks Austin! See you soon!